The challenge here was to create a modern looking patio area for a bungalow in Shoreham-by-sea. The area was sunken from the main garden so standing water had previously been a problem. 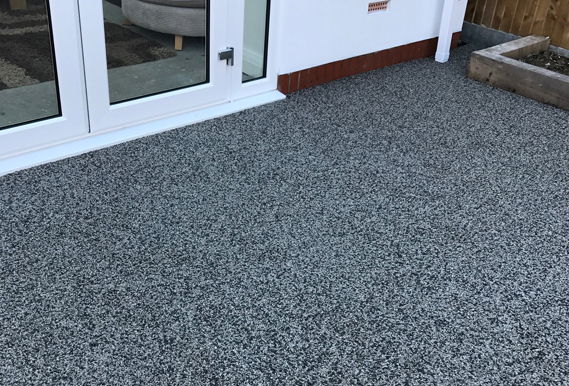 Using a permeable resin surface this was no longer a issue and gave the customer the modern look they required. 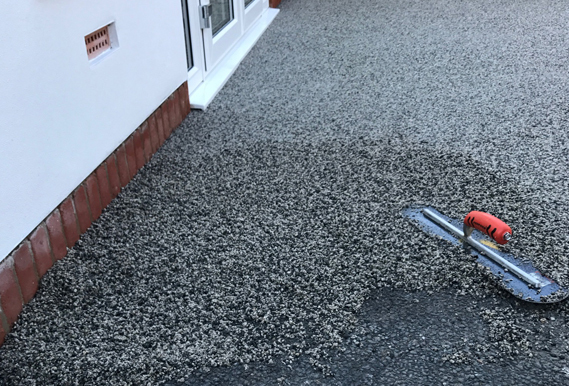 This full construction project was completed within three days and the customer was so pleased with the results they are now looking at having their driveway done.